Sun-filled end unit ready for it's new owners! New vinyl wood flooring downstairs & carpeting upstairs! Front living room or dining room area! Den w/gas log fireplace! Breakfast nook opens to kitchen where you find great pantry space, neutral cabinets, beautiful granite counter tops, & the updated appliances remain! 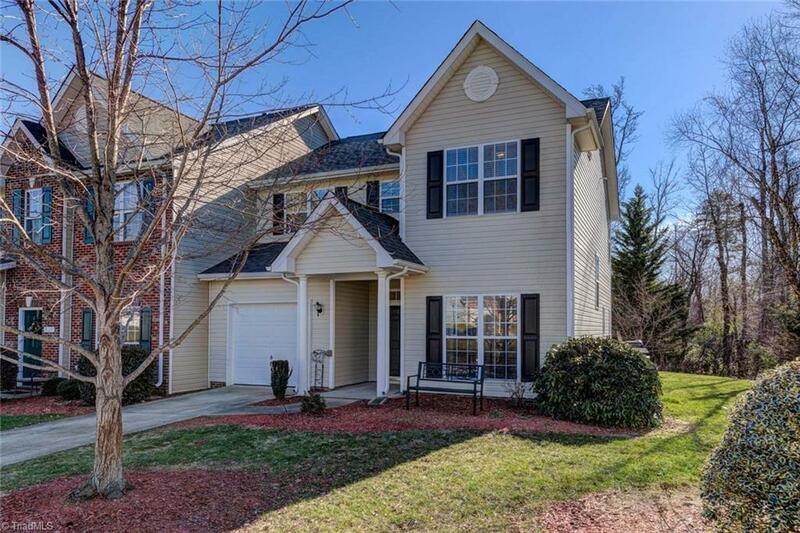 Spacious master w/2 closets & on-suite bath! Upstairs also offers 2 additional bedrooms, hall bath, & laundry! Backyard boasts of new cable railing deck and patio for relaxation! Must see!